Looking out over Praia Grande from the high cliffs at the southern end of the beach. 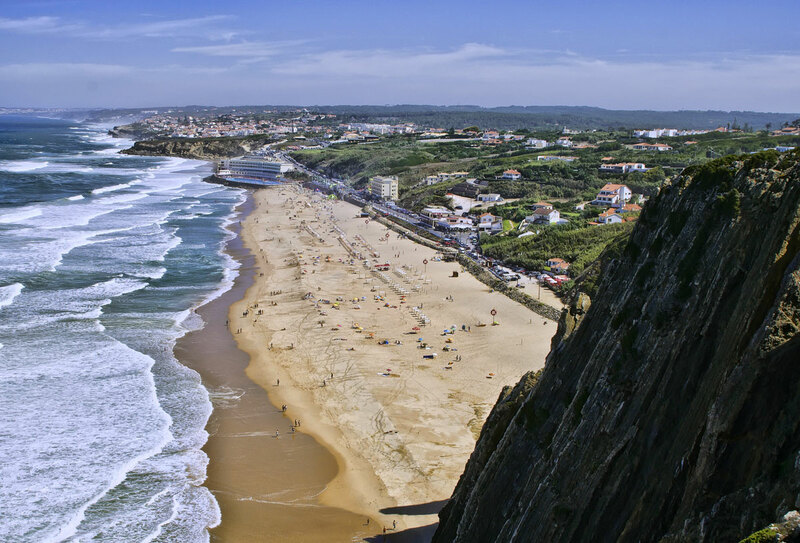 Praia Grande is one of the closest beaches to Sintra and its vast expanse of golden sand makes it a popular choice. In this photo you can clearly see the outdoor swimming pool with Praia Pequena just behind. The houses clinging to the cliffs beyond the first headland overlook Praia das Macas, another popular beach.